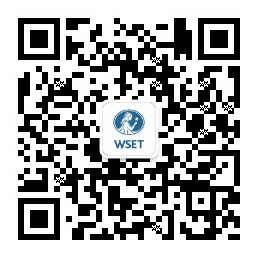 Visit graduation.wsetglobal.com to find out more about our Awards and Prizes, and to see our full lists of past recipients. Prizes are provided by sponsors and Corporate Patrons and are managed by WSET® Awards. They are awarded for each academic year, which runs from 1 August to 31 July. Candidates who achieve outstanding marks in their examinations may be eligible for a Prize. Eligible candidates will be contacted by WSET® Awards in autumn once all the results for qualifying examinations have been collated. These Prizes do not take the form of financial grants to fund studies, but are in recognition of examination performance. The WSET works in collaboration with International Wine Challenge (IWC) who run the IWC Education Bursary. For successful international applicants, the IWC will contribute towards course fees at their local WSET Approved Programme Provider. Support is available for the WSET Level 3 Award in Wines or the WSET Diploma courses. In line with the global vision of both organisations, and with the objective of stimulating diversity and inclusion in education, this bursary is only offered to students who are resident outside the UK. For more information and to apply click here. Contact bursary@internationalwinechallenge.com if you have any queries. Part of our strategic alliance with WSET Corporate Patron the Women of the Vine & Spirits (WOTVS) Foundation, Ltd. 501(c)(3), provides scholarships to deserving applicants to be applied toward their WSET course fees. The Foundation offers scholarships for all qualifications at the course provider of the recipients choosing. The WOTVS Foundation provides scholarships and awards for the purpose of helping women advance in their careers in the food, wine, spirits, hospitality, or viticulture industries through education, leadership, and professional development. Providing women with education, resources and opportunities to thrive is the cornerstone of the organization and success. Scholarships are offered to US and non-US residents. For more information visit womenofthevine.com.